When to Expect Baby’s First Words? One of the most frequently asked questions by moms and dads related to the development of their kids is “When can we expect our child to start talking?” or “At what age will my kid begin to talk?” These are very valid concerns. Unfortunately, the answer is not really that simple as one has to define “talking” first. Part of the reason why it is quite tricky to provide a definite answer to the question about the age upon which kids can be expected to talk is our differing perceptions of the word “talk”. When babies emit “ba-ba” or even “ma-ma” for the first time, parents will already be saying that the baby is actually “talking” to them. Babies who do not elicit a sound but rather a smile or even a gaze can also be called as “talking” as they are essentially “communicating” to and with someone else. For many, however, talking means being able to express oneself in a manner that everyone else understands. For that, talking might begin later in life when kids already have an extensive vocabulary. That being said, it is wise to look at how kids develop their ability to talk in the first place. Language development starts in the womb – Everything starts as soon as the primitive neural tube develops into the primitive brain inside mommy’s womb. Mommy’s voice is the first source of auditory input for language development. Crying is a form of communication – From birth until about your child is 3 months old, crying will be his or her most dominant form of communicating your baby’s needs and wants. Babbles and consonant sounds – By 4 to 6 months of age, babies will develop cooing, babbling, and other consonant sounds as a means to show their feelings. Unfortunately, by this age, they simply cannot equate the words yet to the items that they are designating. For instance, they may say “ma-ma” but they don’t necessarily equate this with mom. Making sense of the various sounds – By 7 to 12 months, babies start to make sense of the various sounds that they make. They also try to establish or recreate certain patterns of sounds. This is the best time to read and talk to your babies as they get to listen to how words need to sound. Few words – Between 13 and 18 months of age, babies can begin using certain words that they know the meaning of. For example, “mama” simply means mommy. 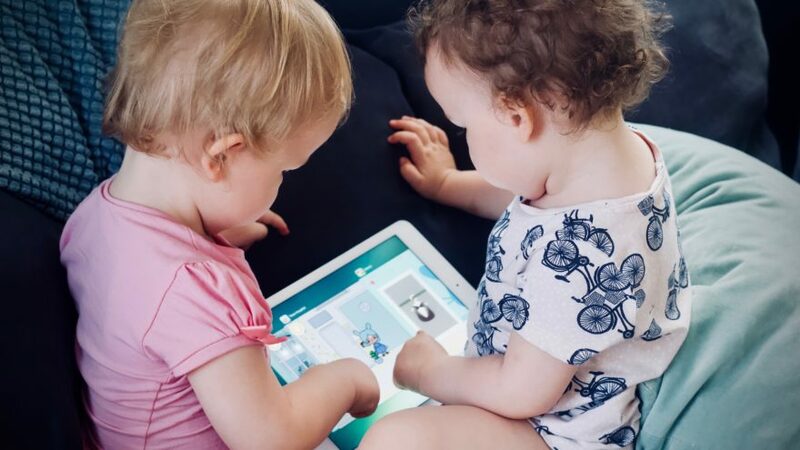 Also by this age, they can start establishing the connection between the use of certain words and they are being understood. More words – Towards their 2nd birthday, kids will already have about 50 words that they often use to communicate their feelings and their needs. It is important to be mindful of what you say with your kid around since any unsavory words can be easily picked up and learned by this age. Around this time, your kiddo should already be able to construct a sentence containing 2 to 4 words. Using the right volume in their speech – Before your kiddo turns 3 years old, he or she already knows how to control the volume of his or her voice to reflect their feelings or emotions. By this age, they already know what pronouns are for and can start using these in the construction of basic sentences. Their vocabulary is also expanding and they should be able to understand what you are now saying. Carrying on a conversation – By age 3 years old, your kid should already be competent enough to carry on a simple conversation. They don’t necessarily have to understand everything that you say but for the most part of it, they will express their understanding. Around this time, it is a lot easier to give kids multiple requests at the same time without them being rattled or confused. When Should Kids Start Talking? So, depending on your beliefs, kids should start talking any time within the first 3 years of life. Anything beyond that can already be considered a developmental concern.